As we kick start 2019, there are dozens of different activities accommodating the interests of those who prefer being social, who enjoy exploring, learning, and living life to its fullest. Dig up your competitive spirit, it is time to start planning for the 39th Annual Summit County 50+ Winter Games February 10 – 12, 2019! 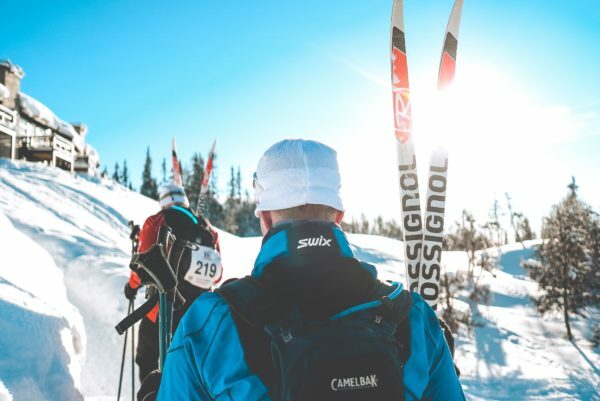 The Summit County 50+ Winter Games are organized by the Summit County Community & Senior Center with the competition hosted by the Frisco Nordic Center and Keystone Ski Resort. Featuring hockey skills events, ice skating, nordic skiing, alpine skiing, snowshoeing and alongside some lighthearted competition in the form of a snowball throw. Athletes are mostly from Colorado, but some travel as far as from Texas, Wisconsin and Canada for the opportunity to compete. Games participants in their 50s, 60s, 70s and 80s get together in a tradition that has embraced a spirit of fun competition and community for more than 30 years! Medals are awarded in 9 age categories and racing experience is not required to participate. You could be the next Summit County 50+ Winter Games gold medalist! Each competitor shall have attained the age of fifty on or before Monday, the first day of the 50+ Winter Games Competition. You can participate in all the games for the low registration fee of $35. Attend the kick off fundraiser dinner for another $20 and the chance to bid on great prizes! New this year are free ski racing clinics prior to the games: one at Keystone Ski Resort, one at Breckenridge Ski Resort and one at the Frisco Nordic Center. All proceeds from the Summit County 50+ Winter Games benefit Summit County Community Senior Center and help to provide a wide range of programs, activities and intellectual stimulation for seniors in the community. The 50+ Winter Games are just a small sampling for how seniors in Summit County participate in activities that enrich their lives and keep them on the road to longevity. If you’re interested, contact Barb Becker, bbleeski@q.com. For more information or to register, please visit SummitSeniorCenter.com.